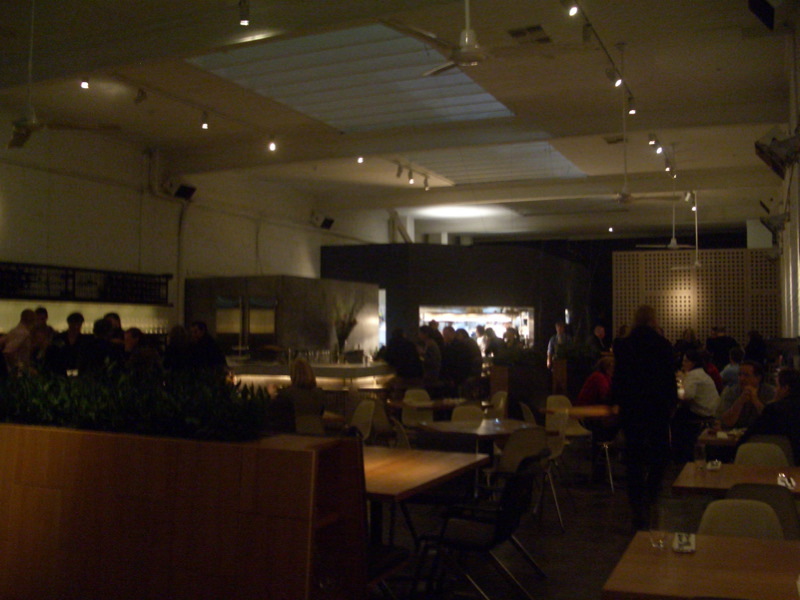 When St Jude's Cellars - shmick, minimalist Brunswick Street restaurant, wine bar and wine shop - opened about five months ago I was immediately wary of the hype, and I remember reading a couple of people saying they'd found the food a bit up and down. So on each the three times I've been there, I must admit I've always been somewhat on my guard. My first visit to St Jude's was in June with the lovely G and A. A few weeks later, G and I were arranging a sort of reunion dinner for our two families (the first since the passing away of someone close to all of us), so we wanted somewhere that was both fashionably new (because C was coming down from trendy Sydney and always likes going somewhere cutting-edge)... but also somewhere where we could have a certain degree of intimacy. I called St Jude's and explained the situation and what we were looking for. The girl who took our booking was just brilliant - she fixed it so that we'd have the quieter table up by the front window, and on the night we were there she was very attentive and made sure we were being well looked after. Wonderful service. 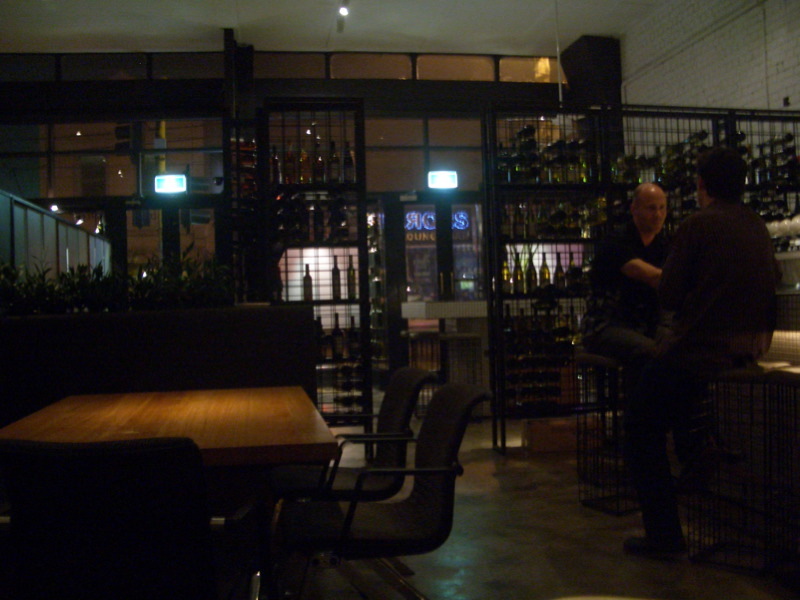 The wine shop is nestled in the front left corner of the restaurant. 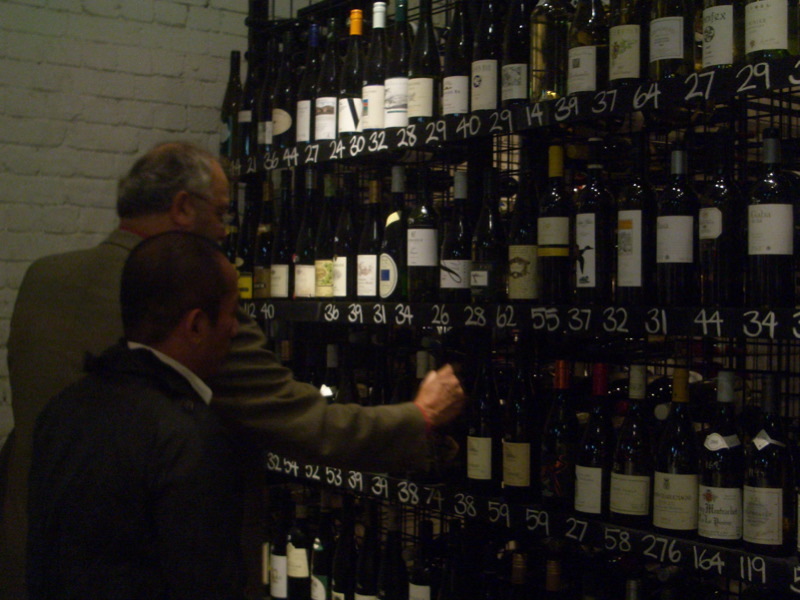 All of the wines on display can be bought at retail prices to take home, or you can drink them at the table with a $15 mark-up. Another great touch of service: on my third visit there (dinner with DJ, D and several other fabulous people), we wandered into the wine section halfway through our meal as we'd decided it was time to get a bottle of big butch red. 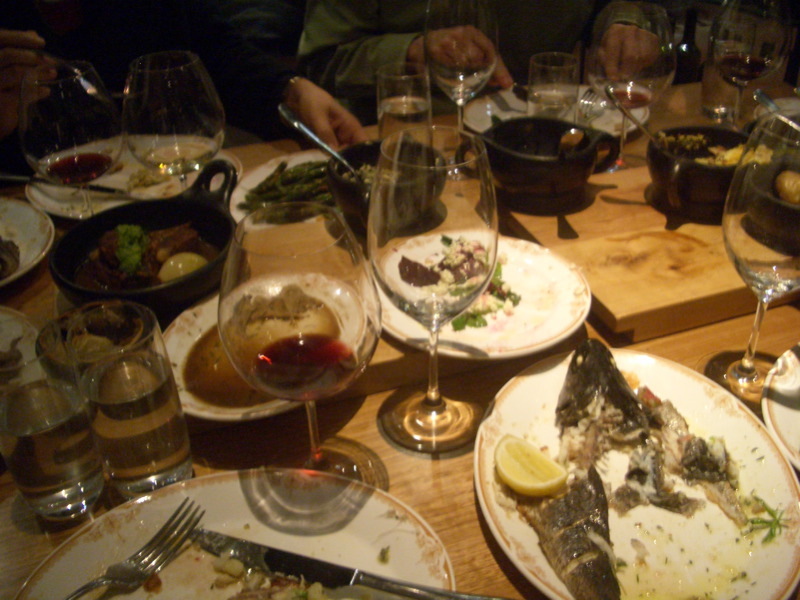 The sommelier allowed us to potter around for a few minutes, then came over to help us - we were surprised and most impressed that she'd taken the trouble to check in advance what we'd ordered and therefore was full of suggestions for wines that would match our food. Well played! 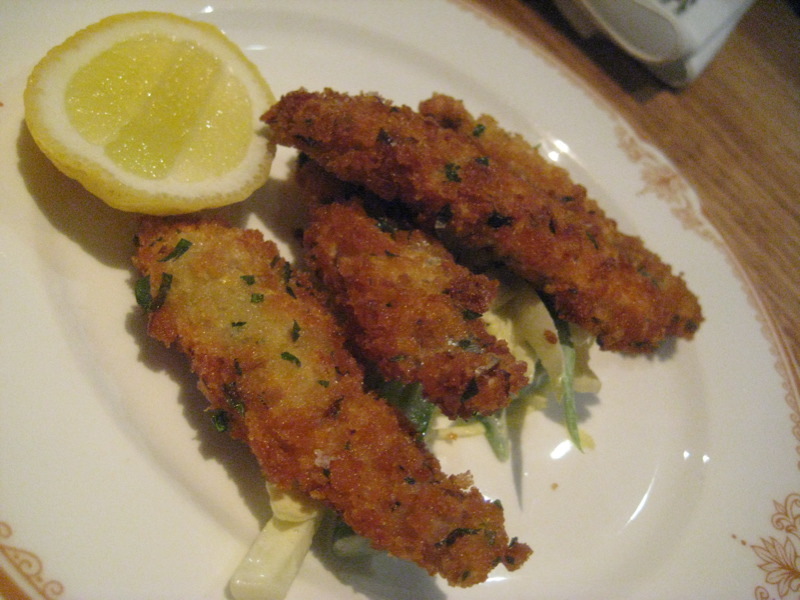 Some of the dishes I've enjoyed at St Jude's include the gremolata crumbed fish (sardine) fingers with green bean and endive salad ($14). I'm used to only having gremolata on Osso Buco, but as you'd expect the lemon and parsley worked wonderfully with the fish. 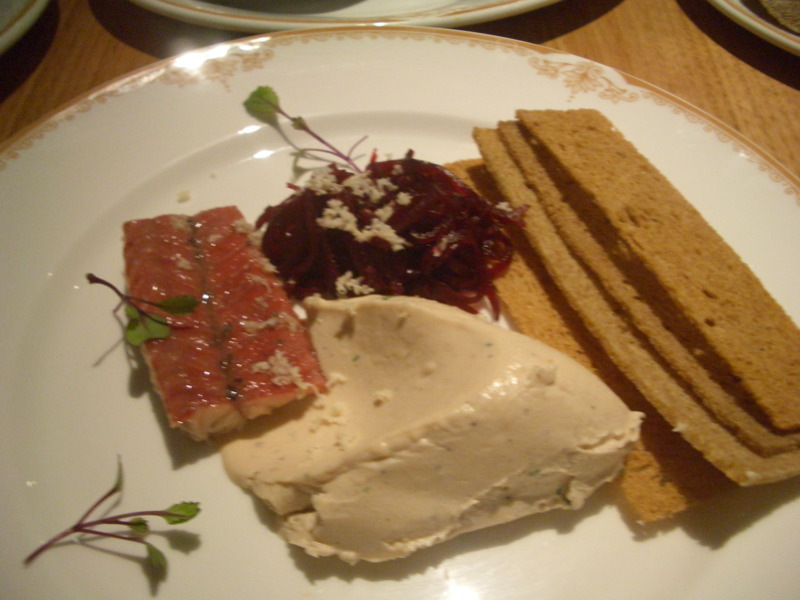 G, A and I had the eel platter: grilled eel, eel pâté, rye bread, beetroot and fresh horseradish ($18). You didn't get much for $18, but what was there was pungent and pickled and delicious. 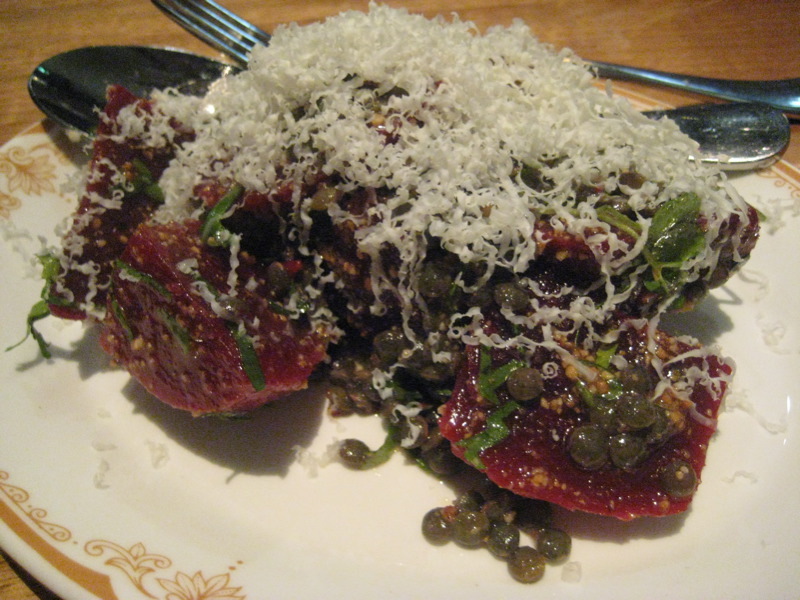 With DJ et al last Friday, we tried the beetroot and lentil salad, with salted ricotta and hazelnuts ($14). One of my favourite dishes - the beetroot was still very firm, the salted ricotta gave the salad a real punch, and the choice of hazelnuts (as opposed to, say, walnuts or almonds or pine nuts) made it extra interesting. 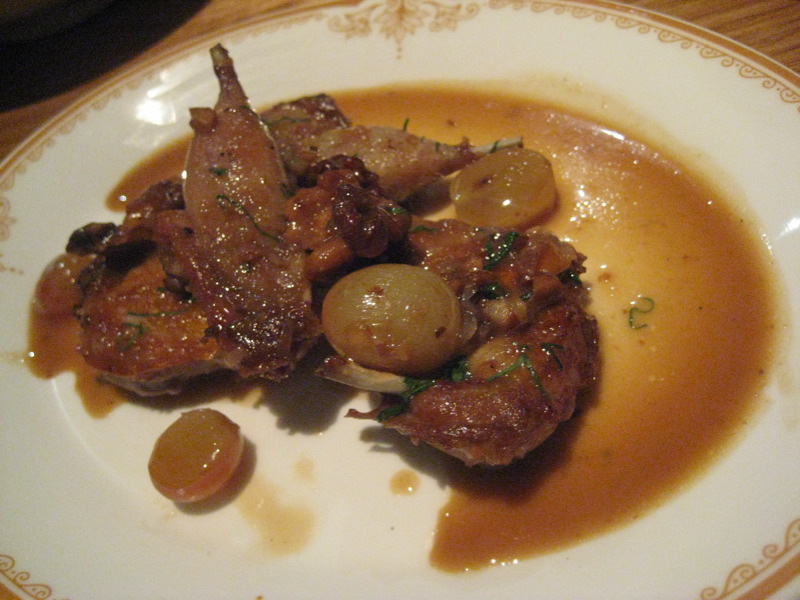 ...and, more recently, the roasted quail with grapes and walnuts ($14). Again, a rather teeny dish, but delicious. More bread was required to mop up the sauce. I love grapes in savoury dishes, when they're used right! My favourite dish would have to be the quinoa and spelt salad ($13.50) - that was in June, but now it's a bigger serve and instead of spelt it's quinoa and farro salad ($21). In both cases it was served with a hunk of roasted pumpkin and a snappy grilled field mushroom, and in both cases it had a superb flavour and texture. As those familiar with my first visit to Cumulus Inc would know, I am ALL about the nifty grain salads these days. 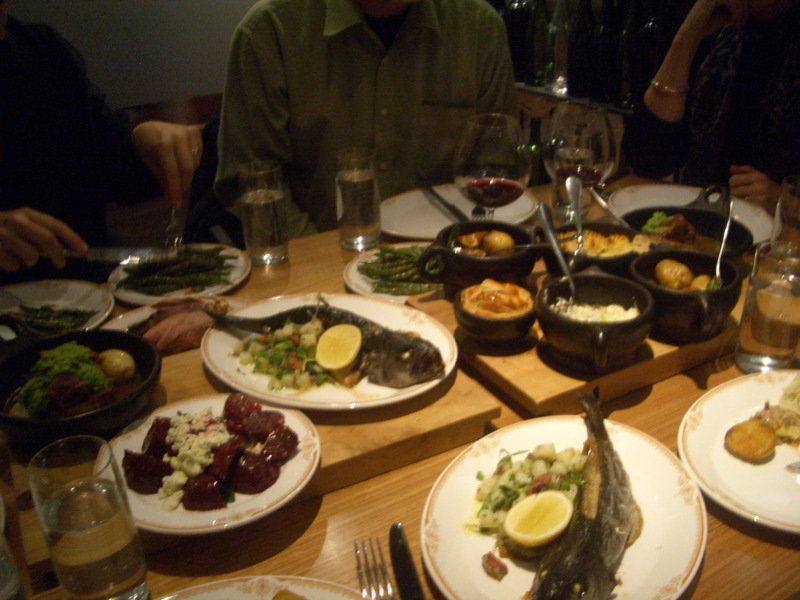 The mains all get served on attractive, fast-becoming-ubiquitous wooden platters. Here we have a special of porterhouse steak with field mushrooms and some kind of fancy couscous (um, possibly fregula? 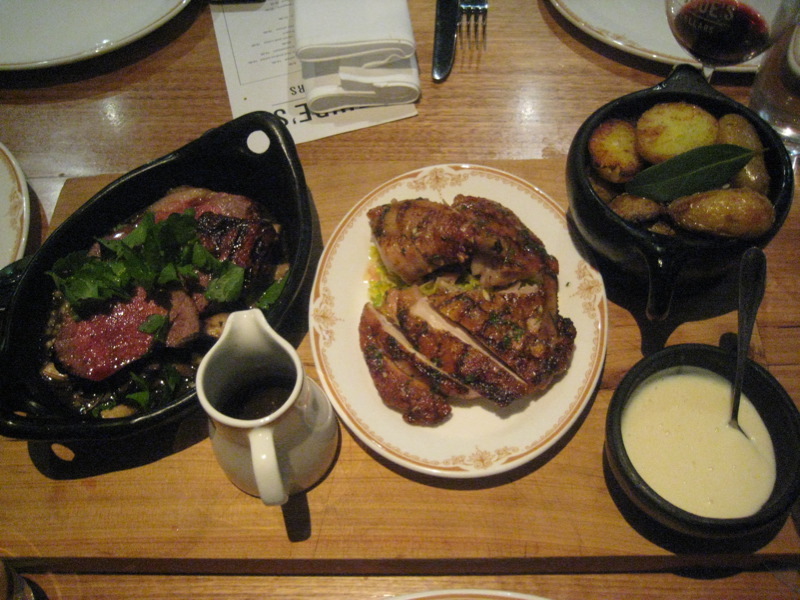 ), the grilled chicken with bread sauce ($23) and the Dutch cream potatoes roasted with bay (except they weren't at all creamy!) ($8). 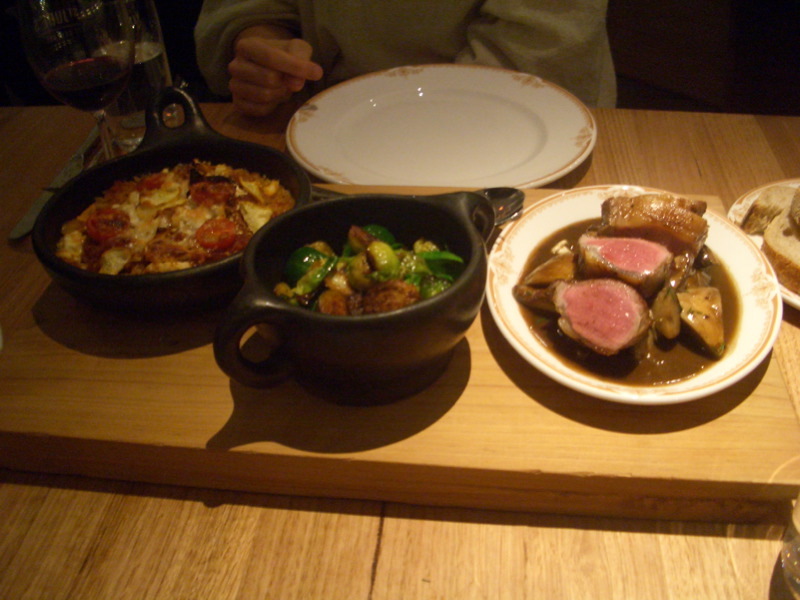 First-time mains were baked orzo with aged fetta, tomato, cinnamon and zucchini ($15), sautéed Brussels sprouts ($8) and a special of salt-roasted lamb with wild mushrooms (yes, they sure love their mushrooms!). 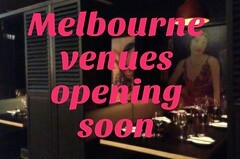 I'll be really interested to see how their menu will adapt to summer - whether they'll ditch most of the slow-cooked stuff. St Jude's is open for lunch and dinner on Tuesday to Sunday, for breakfast on Saturday and Sunday (hey has anyone been there for breakfast? If so, what's the brekky menu like? ), and the bar is open all afternoon. Count me as a fan! wow, the food looks amazing! too bad that means yet another place i have to go to lol. i went to gills diner last night, that was an, um, "experience" - i ended up having problems with a waiter who took a disliking to me. back on topic these uncommon grains are interesting and certainly add a different texture to the meal, that's for sure. Sounds wonderful. Not somewhere I'd go unless I could get rid of the Ankle Biters though. Hi James - Yeah, I'd check it out sometime if you get the chance. Sorry to hear you had a negative experience at Gill's Diner. I've only ever been there for sugar daddy lunches, would be interested to see if it has a different vibe at night. i think it was just one waiter that was having an off night. i want to go back though, that's for sure! oh, did you find that book? 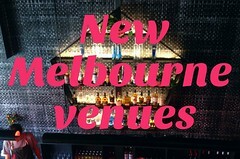 Has anyone been to St Jude's Cellars recently? Is it still as good as it was in 2008 when this review was posted? 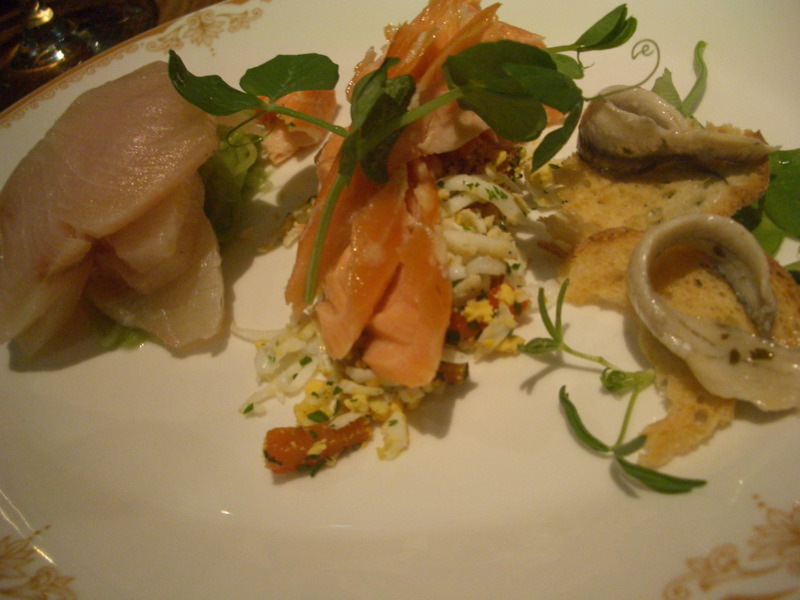 I remember having the eel dish - so decadent... Thanks! 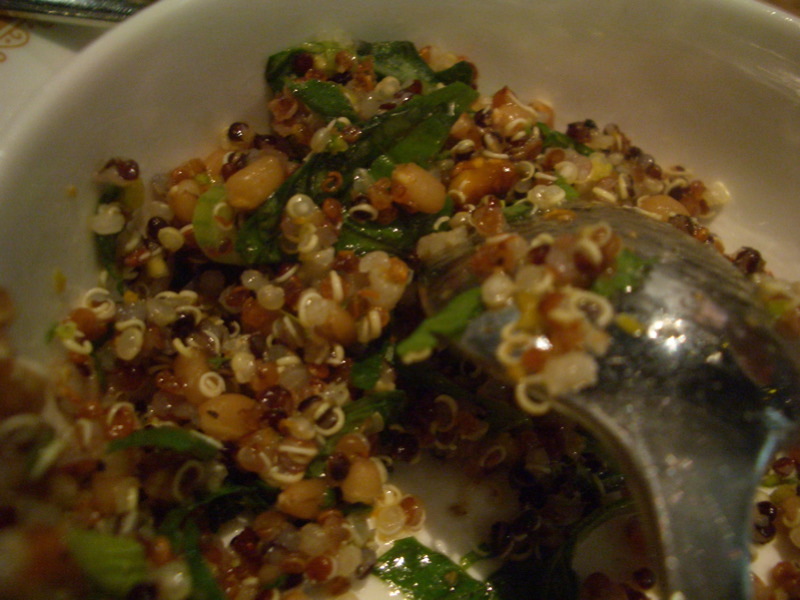 The grain is quinoa, it's awfully easy to cook yourself, and so easy to dress up and make something delicious out of it!